… but the Eagles quarterback was unable to steal the headlines on Sunday from two people who didn’t play a single down in the big game. Wouldn’t you know that Kylie Jenner and Kim Kardashian would find a way to dominate the headlines?!? Jenner, of course, did so by giving birth to her first child. Following months of secrecy, the 20-year old welcomed a baby girl over the weekend, releasing a statement shortly afterward that explained why she had remained out of the spotlight during her pregnancy. … glimpses of Chicago West! 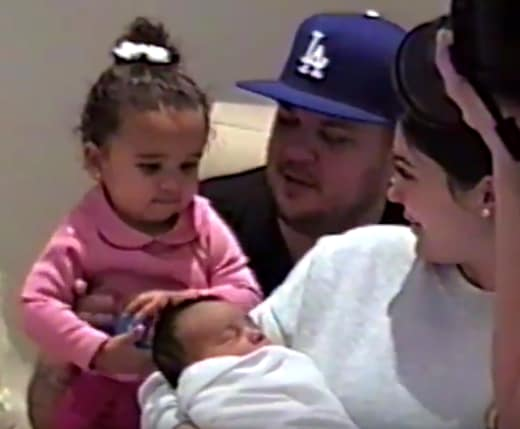 That’s right, fans were unexpectedly treated to a few looks at Kim and Kanye West’s third child via the footage above, as Kylie’s family members visited her in the hospital prior to her own baby’s arrival. For example, Rob stopped by with daughter Dream, who adorably touched the head of her cousin at one point. Kim – who has not yet shared any pictures of her daughter on social media or sold any to supermarket tabloids (yet) – also allowed little Chicago to be filmed for this special video. 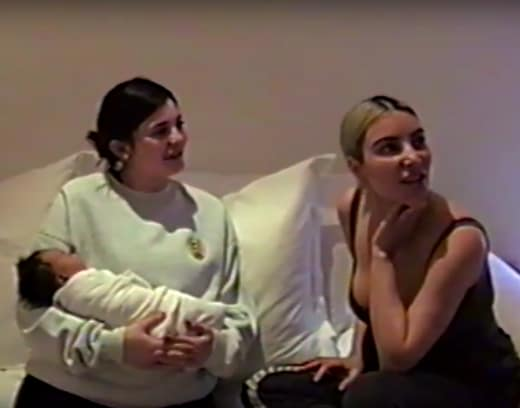 The child was born via surrogate last month because Kardashian has a health complication that would have made another pregnancy very dangerous. Kim and Kanye were right in the delivery room when Chicago entered the world at Cedars-Sinai Medical Center in Los Angeles. 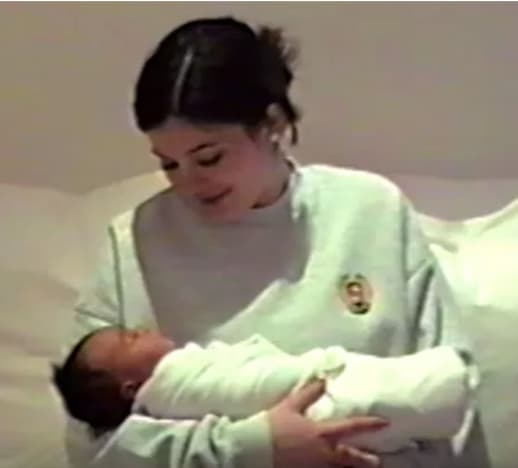 At another point in her video to fans, Jenner is seen cradling her niece in her arms, preparing for the many days and nights in which she’ll be doing the same with her own little girl. It certainly looks like Chicago West is very well loved, doesn’t it? She’ll soon have even more company, too, as Khloe Kardashian is pregnant and expecting her first child at some point in the next month or so. How crazy is all of this?!? This is their universe. We should just be grateful that they allow us to reside in it. Farrah Abraham: I’m Ready to Fight Drita D’Avanzo!